Jazeman Jaafar’s first taste of the famed Le Mans 24 Hours circuit in Le Sarthe, France, was a memorable experience for the talented racer. “I had the widest grin imaginable,” he said after completing his first laps of the 11-mile track. 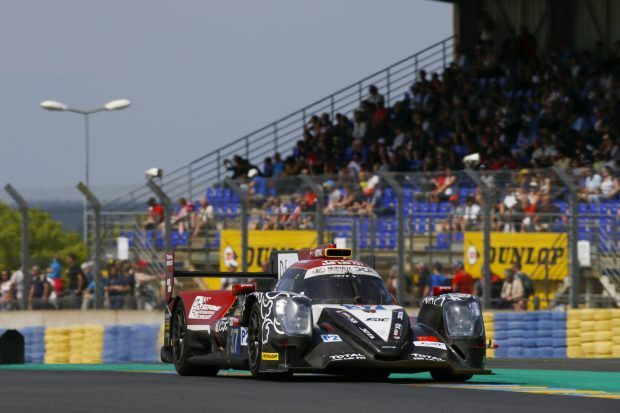 The 23-year-old Malaysian driver will be making his Le Mans debut this year and Sunday’s test day was the first opportunity for him to sample the track, with his only previous experience a simulator session, part of the mandatory training for all Le Mans 24 Hours debutants. Jazeman is driving with the Jackie Chan DC Racing team, piloting the #37 Oreca 07 LMP2 race car and sharing it with fellow compatriots, Nabil Jeffri and Weiron Tan, a Malaysian trio supported by Sepang International Circuit. The first all-Malaysian team to compete at Le Mans, all three drivers were behind the wheel during the test. The morning session saw Jazeman take to the track first of the three drivers and after a reconnaissance lap, not only for Jazeman to learn the circuit but also to check the car systems, he was back in the pits for the team to make initial set up changes. Jazeman then went back out for a multi-lap stint. With 11 miles of track and 133 turns to master and limited track time available, Jazeman had little time to get to grips with the challenge of the circuit. After completing 8 laps Jazeman handed the car over to Weiron for his first experience of the Le Mans track. Jazeman had a second session behind the wheel of the #37 Oreca LMP2 in the afternoon’s running and was able to begin developing the car set up to improve its balance and pace for the track conditions. Over the course of the day his lap times dropped, finally finishing the quickest of the three drivers and eleventh in class. Jazeman will return to the Le Mans track in under a week, preparing for the toughest race of his career so far.